Kitchens are complex we make them simple! Should a Kitchen have an Island ? Given a choice of kitchen layouts most homeowners desire an island. 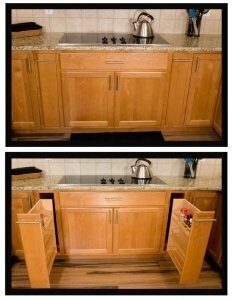 They create extra space for work, storage, and a place for family and friends to hang out while in the kitchen. 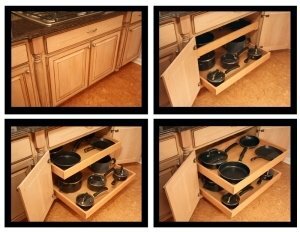 If your space is not conducive to an island and one is squeezed in it will make your kitchen feel confining and restrictive. Advice from a qualified kitchen designer will help answer these questions and many more. 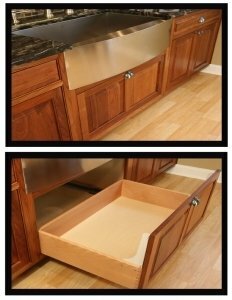 When installed in the right location a secondary sink can be just as useful as a primary sink. The ideal location allows two users to cook and clean simultaneously, making everyday gatherings and special occasions easier to prep and clean up. 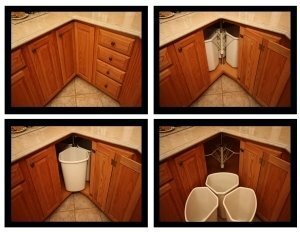 The right sink in the right spot could make your life easier. While these are popular questions they simply do not provide you with the best information to make an informed decision. To make a good choice, focus on trust and quality. If you find someone who is reputable, trustworthy and skilled, the budget and timeline will fall into place. 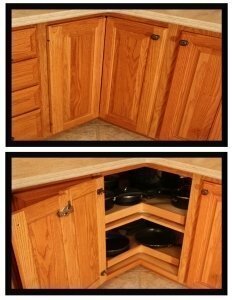 1 to 2 days to remove old cabinets, fixtures, walls, floors, appliances etc. 2 to 3 days for framing and misc. 2 to 5 days for rough in of electric, plumbing and heat (mechanicals). 3 to 4 days to add new plasterboard and tape it. 1 to 2 days to install a new kitchen floor. 2 to 6 days to install new cabinets. 1 to 2 days for new fixtures and appliances. 1 day for the plumber to install sink, dishwasher, etc. 2 to 3 days for lighting, wall coverings, painting, etc. The kitchen triangle links the three areas of greatest activity: the sink, stove, and refrigerator. The idea was developed in the 40’s. 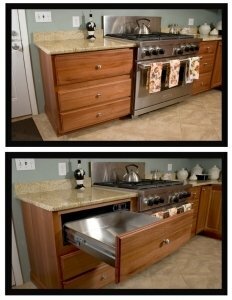 Today’s kitchen designs can be so much more than the “triangle”. Understanding flow of traffic, the function of the household and so much more should be considered with trained eyes which then create a design to provide the best solution for your needs. Moving from the planning stages to the actual work may involve some inconvenience and expense, but if you’ve selected the right team the rewards of a kitchen will be worth the effort. Be sure to decide on a plan and stick with it. 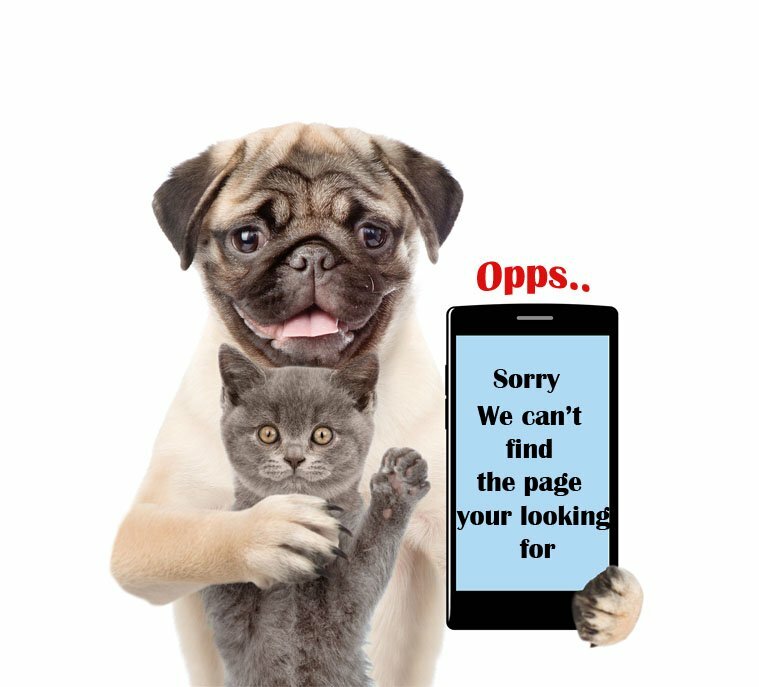 Changing your mind once the work has begun can be expensive and usually results in more than a few unexpected and frustrating glitches. Why are some woods more than others? A wood’s durability, hardness and beauty is not the determining factor in pricing. With proper care, all of our woods and finishes will last a lifetime. Conditions affecting the price are – availability, location, transportation, milling, forest management, etc. 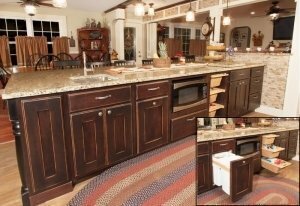 Quartz counters are manufactured with approximately 93% crushed quartz and 7% polymer resins. resistant to scratching, scorching and staining. Granite is mined from mountain quarries located throughout the world. It is cut into large blocks, transported and eventually cut into slabs for countertops and other applications. Natural stone will have a variety of colors, veining, and movement and each piece will be unique in its appearance. It is resistant to scratching, scorching, and staining. Marble is a natural stone with color variations and veining which can be striking. It’s softer and porous lending to scratches, stains and acidic foods like orange juice cause surface etching. There are more don’ts than do when it comes to maintenance. Butcher-block counters are made of natural wood and each one will have a unique look. 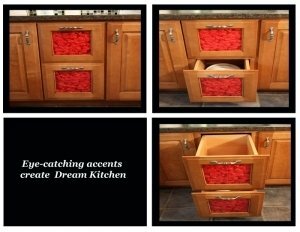 They add warmth to your kitchen. Treating with mineral oil will protect and enhance the wood for a lifetime of enjoyment. Solid surface (Often referred to as Corian) are blends of acrylic or polyester resins making them nonporous and resistant to bacteria and stains. Heat as well as scratches (from cutting) may damage the material. Some common brands are Dupont Corian, Wilsonart solid surface, Formica Solid Surface as well as many others. Laminate counters (Often referred to as Formica) are fabricated from high-pressure laminate (HPL). Layers of material are bonded together with high pressure and heat. Manufacturers of laminate include Formica, Wilsonart, Pionite, Nevamar as well as several other companies. Laminates are available in a staggering array of colors, patterns and finishes. Concrete is composed of water, binder and filler. Cement is the binder and the filler is an aggregate which may be anything from sand, gravel, stone, crushed glass or beads. Concrete often develops hairline cracks when curing and settling. This material is porous and caution should be taken to avoid cracking, bacteria and staining. 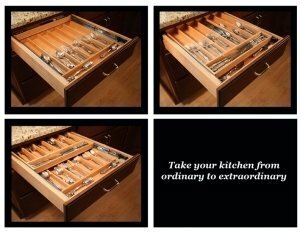 Organization is the ultimate luxury. 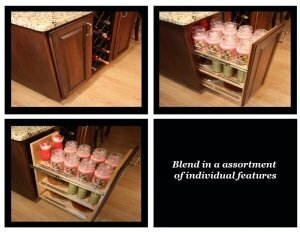 Blend an assortment of individual features and create your dream kitchen! 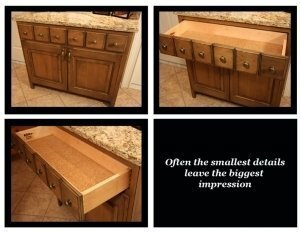 Pullouts help clear counters making them usable and inviting. 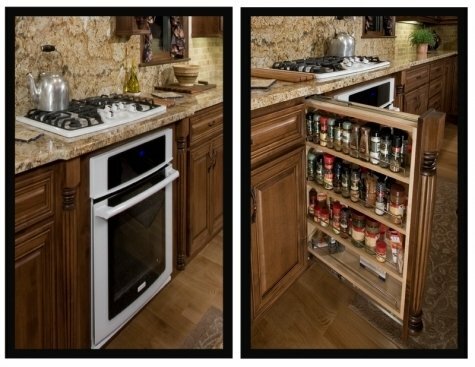 Here are some great ways to organize spices and other items. We always recommend what is best for you once we know the details of your project. 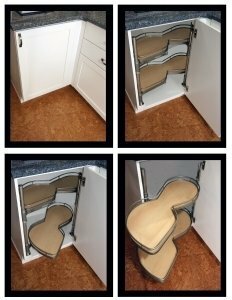 There are several options to make use of corners. We help you make the best selections. Good communication creates great projects! Organize your pots and pans and make them easy to reach ! Before we create the kitchen of your dreams, we need to understand who you are, how you work, and what you’re looking for. You’ll be amazed at the quality and style you can afford with Elite Kitchens! 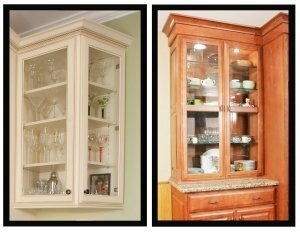 Decorative Base cabinets are attractive and functional. 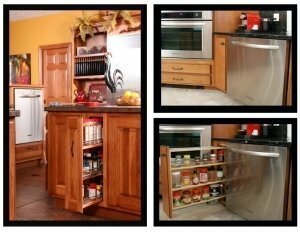 Why settle for a kitchen you pick up at a big box store? 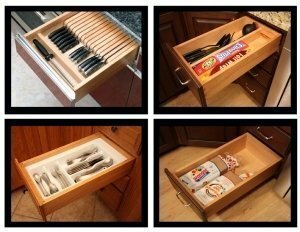 Kitchen drawers are great for utensils, measuring cups, towels, hot pads, and even Tupperware. 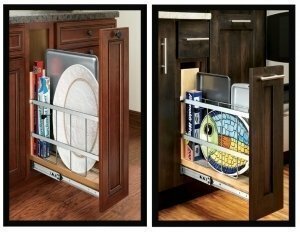 Organized kitchens create an inviting space for you, family and friends. 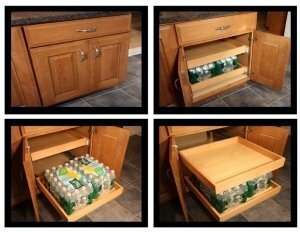 Keep your kitchen uncluttered, and clean with built-in recycling and trash bins. 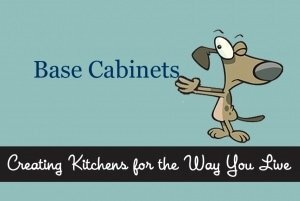 Cabinets that look great on the outside and work hard on the inside. Glass doors in cabinets create a wonderful focal point and lighting the interior adds to a room’s ambience. 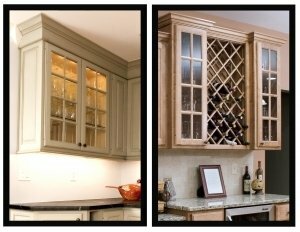 While selecting glass is a personal preference, there are extensive options and sure to be one just right for you. Seeded glass has pockets of tiny bubbles and usually a wavy quality. Its hand-crafted look and warm appeal make a natural fit for many applications. Clear glass creates a wonderful display area for special items or every day dishes. 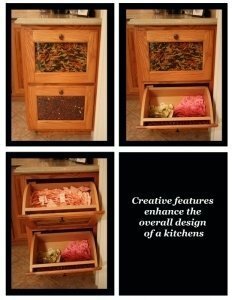 The interior of the cabinet may be finished to match the rest of your kitchen or left natural as an accent. Frosted glass is translucent and transmits light while obscuring items behind it making an ideal choice for creating ambiance. Leaded glass panels are created by combining multiple small pieces of glass, which may be stained, textured or beveled and arranged in a design to create the final piece. 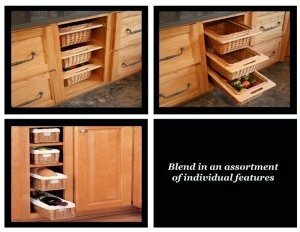 Lighting in cabinets is reflected through the glass creating a wide range of colors under different lighting conditions. Wire is an excellent choice to create a unique look. 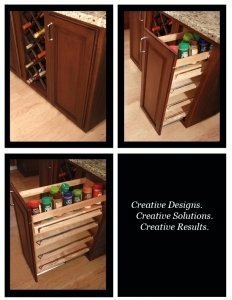 Available is a variety of patterns from country, colonial, transitional, contemporary and a must see to appreciate. Mirror can add a striking appearance when used instead of glass. 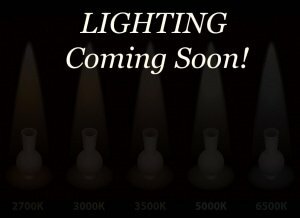 It is available in standard, smoked in several colors, antique, silvered, etched and will create the appearance of enlarging a room. When adding this element be mindful of the location and what will be reflected.